Most American households subscribe to at least one paper magazine. Circulation of paper version is on a decline but still too many paper copies are distributed every month. Not only paper copies are harder to read, they are damaging the environment as well. Trees are killed to make papers. Over the past seven years, my wife and I have subscribed to over ten magazines a month. At times, I don’t read or open any of the issues and let them pile up on the counter month after month. This pile of paper got me thinking, why do we pay for these magazines when everything I want to know I research on the internet?I think magazines are a waste of money, but I can’t seem to unsubscribe to some that I truly love and add value to my life. Forbes magazine is a classic magazine that is a great financial resource and educational tool for the real world. That being said their online material is just as valuable and free. The magazine is available in multiple brand types such as Forbes Asia and Forbes Life. The paper magazine is marketed and targeted to different countries as well including Forbes India, Israel, Mexico, Middle East, Poland, Romania and China. Many companies now use certified translation services for websites and target their markets via the internet. This new way of marketing and website services for all over the globe is much more simple and more affordable when you compare it to printing magazines in multiple languages and hiring a whole team of new people just to research different print magazines based on demographics. One of my favorite magazines is HGTV magazine. It is beautiful, colorful, and easy to read. There is something about looking at pictures on paper that just outshines the computer screen. There are some great features in this magazine that show you different ways to save money when decorating your home. I love the “High Low” feature section where they compare an expensive item that is very similar to a cheap item and let you know where you can buy it and find the great deals. But, after getting this magazine for a few years it gets very repetitive and is a waste of money each month. But ever since we got used to reading online their website seems more appealing and exciting. Also, there’s a search function available which is unique to the e-version of this magazine. When I am in DIY mode, paper magazines are not the best place for resources, as I could easily find ideas, step by step tutorials and instructional videos on the internet to specifically meet my needs for free. Not to mention, it’s a much faster and more efficient use of my time than looking things up in a paper magazine I saved over four years ago. Getting Food Network magazine in the mail each month sounds great, but all I get out of the paper magazine is a few recipe ideas. Much of the info in the magazine is available on the Food Network’s website and their free mobile app. The app is an even better resource for recipe ideas and meal planning. This paper magazine is a huge waste of money for the consumer. If you are interested in food trends and want fresh new ideas in relationship to cooking, the internet is the way to go. It’s may be hard for me to say that magazines are a thing of the past just yet, but one thing for sure; they are a waste of money! I mean the paper version of them. 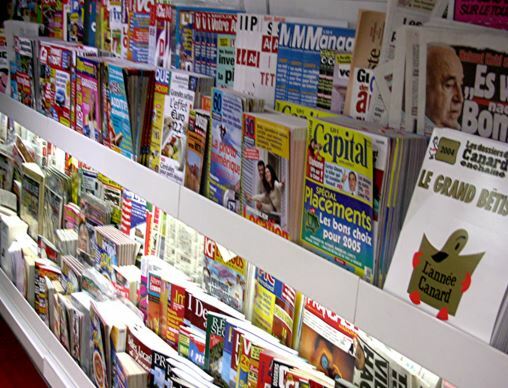 Online magazines, especially if they are free, are the best option available to a reader. 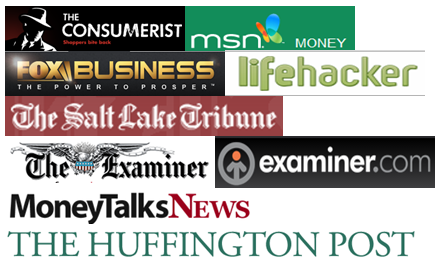 Here’s a compilation of popular online magazines. Another thing I don’t like about paper magazines is that you don’t get to choose the content you are interested in reading as precisely as when you do research on the internet. If I want to read about one particular subject I can search on it and read several articles from different perspectives and then form my opinion. But with an paper magazine you will read about whatever the editors have chosen should be in that issue. Thought provoking post – thanks.